A decline in union membership has left a void to be filled by a more chaotic movement – alt-unionism. Business groups in Australia have been engaged in a long-term effort to increase the legal regulation of unions to constrain union activities. But this crackdown on the traditional union movement has created a void starting to be filled by “alt-unionism” – a more amorphous, less predictable vehicle for workers to voice their dissatisfaction. Arguably the restriction of union activity has had some success. For example, the legal right to strike is heavily circumscribed, as highlighted by new secretary of the ACTU Sally McManus. In addition to this the Australian Building and Construction Commission has been re-established meaning tighter restriction on the activities of building unions. Over the past 30 years the percentage of unionists in liberal market economies has been falling. In the wake of this decline steps alt-unionism (also known as “alt-labor” and “improvisational unionism”). It operates outside the established processes of collective bargaining to improve the wages and conditions of workers by other means. Alt-unionism is a catch-all term that can refer to spontaneous actions by workers that don’t conform to the traditional pattern of strike behaviour or other industrial action. An example of this is the numerous protests by Uber drivers in Australia and around the world. It’s also characterised by the fluid campaigns (often digital) launched outside of regular channels of representation. Take for example the online petition signed by Starbucks workers and individual supporters last year that resulted in an increase of up to 15% for Starbucks US employees. 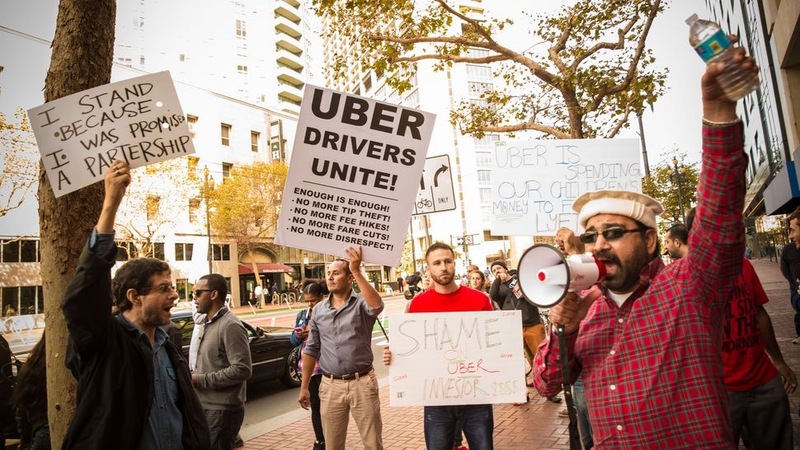 These organisations in Australia include those representing rideshare drivers, such as the Rideshare drivers association and Rideshare Drivers United and others like the Retail and Fast Food Workers Union, an unregistered body. In the US, the Freelancers Union and the Independent Drivers Guild each have thousands of members but are not allowed to represent these members in the same way as other unions, because their members are notionally independent contractors. The rise of alt-unionism may not seem like an immediate threat to businesses. Many of its manifestations are ad hoc and small scale and consequently easy to ignore. However, alt-unionism is not uniformly institutionalised and its constituency is broader than a workplace or even an industry. Its development is erratic and much more difficult to contain through existing systems of industrial regulation such as tribunals. Also, it’s often focused on inflicting reputational damage on a business in order to leverage an outcome by meshing workers’ grievances and concerns of ethical consumer groups. For example, the OUR Walmart campaign in the US leveraged the anti-sweatshop movements and the Walmart bribery scandal in Mexico to support their actions for better working conditions at Walmart and in the retail industry. Walmart was also confronted with unprecedented alt-unionism in China, where a spontaneous movement lead to strikes across the country. Before the guild the drivers had no voice – no one was listening, no-one was caring. Workers whose concerns are not heard through established mechanisms may look for other modes of association and voice. This may expose business to potentially robust and unpredictable reaction from workers. The most recent example is from France. Uber faced a coalition of the old transport union and the new independent association of drivers to contest changes to the pricing policy that resulted in reductions in commissions received by drivers. Protests and sporadic violence led to the appointment of a public mediator. Negotiations to date have been unsuccessful and a continuing impasse might lead to a state-regulated minimum price which is counter to Uber’s business model. After all, Australia is at historic lows of industrial action and most employers never have to deal with it. But if the system continues to reduce the capacity of unions to undertake their representative role – we may see worker dissatisfaction expressed through action. This might not be the known type of garden variety industrial action – namely strikes during bargaining – but an increase in a spontaneous phenomenon, not bounded by the Fair Work Act or whatever supersedes it. This could pose a challenge for business and make current industrial relations settings and traditional unions seem – if not attractive – then perhaps at least palatable.